Willa Cather was an early 20th century author best known for her novels; O Pioneers, My Antonia, and Death Comes for the Archbishop. In 1906 Cather became the managing editor of McClure's magazine. As a muckraker journalist Cather co-authored a scathing biography of the head of the Christian Science church, Mary Baker, Eddy. The Christian Scientists tried to buy up every copy. Later the University of Nebraska republished it. 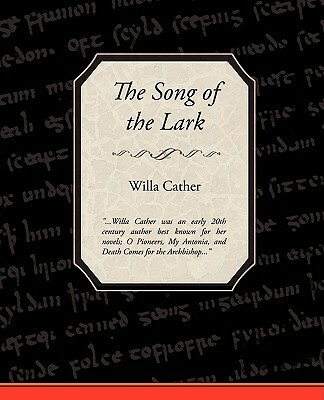 Written in 1915 The Song of the Lark is the most autobiographical of her novels. The story set in Colorado recounts the life of a young girl who leaves a small town to go to the big city to become an opera singer. As she climbs in her profession she sees the lesser talents of those around her. She is forced to leave behind relationships that do not help her achieve her goals.